Best friends invited themselves for dinner. 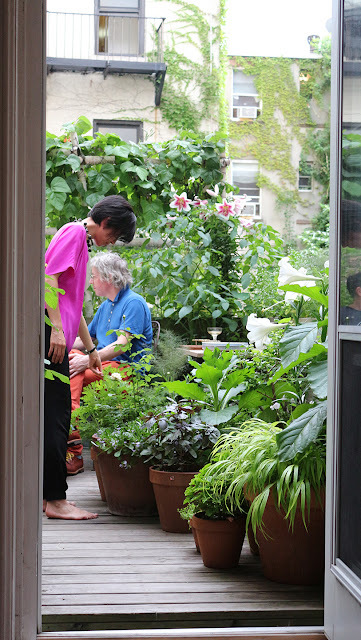 Since it will perhaps be the last friends' supper on our Harlem terrace I asked our Lovely Upstairs Neighbor and The Diplomat's Son to join us. We ate knotweed and field garlic flower pickles, ginger ale ham and herby poatoes, drank Champagne, exchanged war stories and caught the unmistakeable odor of dead rat inbetween gusts of lily perfume. It seemed appropriate. 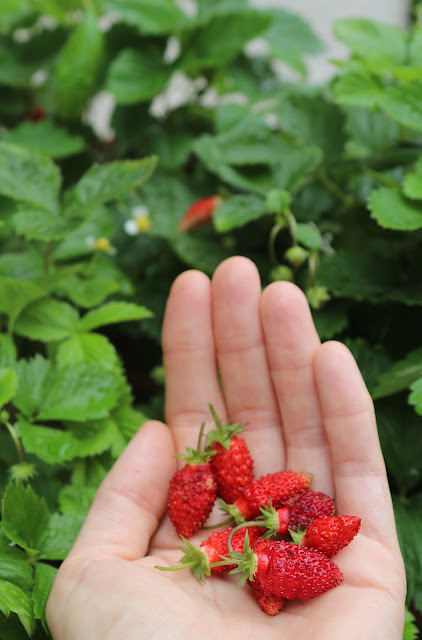 This morning I picked a handful of Alpine strawberries. They were my breakfast. 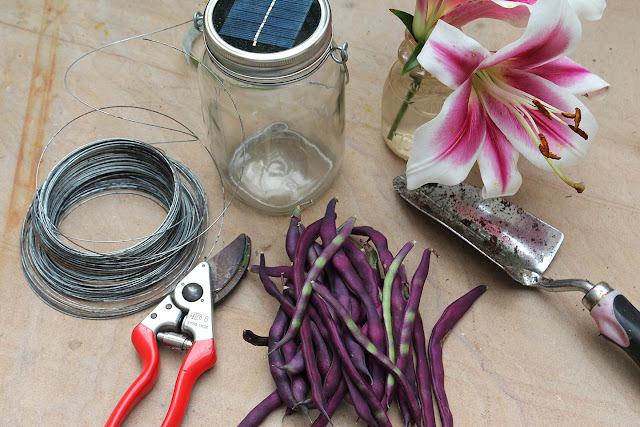 Then I gathered some Trionfo Violetto beans from the beanscreen, and began making a bamboo teepee for some climbers currently attached to the railings around the skylight. I snipped the cardinal vine clear and detached the Roguchi clematis, unplanting their room-mate rose in the process and giving it a new pot. Now, hopefully, the climbers can move with us. If we move to a space with sun. We just don't know, yet. Your last sentence remembers me of the and of Raymond chandlers "The Big Sleet": "It just made me think of whitewig, and I never saw her again." Very sad! And I am here in German, and cannot help you. I am sending many positive thoughts that you will find a lovely place with a sunny terrace or garden home for your plant friends. Everything is so lush and beautiful. There is not much I can do from California but I would help you carefully move everything if we lived a bit closer.